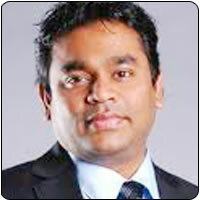 In a recent interview, AR Rahman was quizzed as to where he keeps his two Oscar awards and he had replied that his mother had hidden it somewhere, probably in a suitcase at home. Rahman said that people visiting his home wanted to photograph the Oscars and hence his mother decided to put it away from the prying eyes. To a question, if he did not want to see it again, Rahman said that he would definitely like to, but for now it can rest where it is. The music director is now composing music for the Danny Boyle-directed 127 Hours, which is based on mountaineer Aron Ralston’s ordeal when his arm got caught underneath a boulder and he had to stay there for 127 hours before help came.